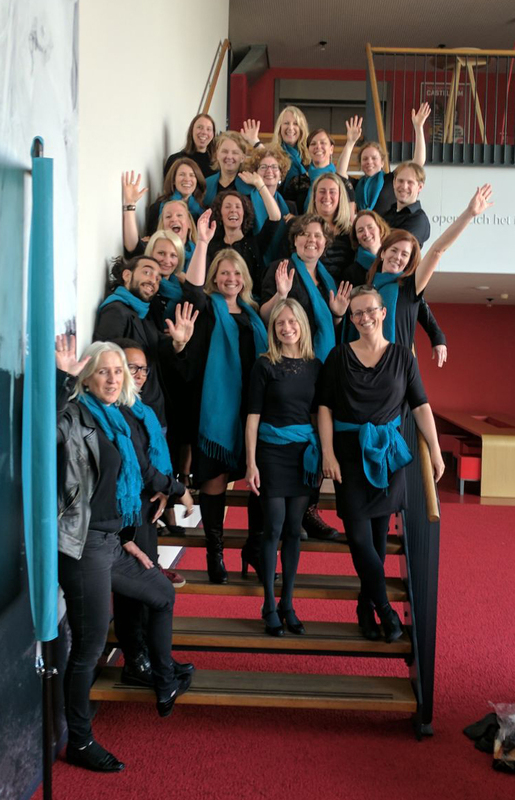 Luscinia is an open and friendly women’s choir made up of women who share a love of singing. Our numbers are relatively small (around 25-30 members), but our backgrounds are quite varied nonetheless. Our singers come from all over the world. Think the British Isles, Belgium, Germany, the Netherlands, Poland, Finland and Asia. We rehearse every Monday evening from 7:30 – 9:30 PM in the American Women’s Club of the Hague, Johan van Oldenbarneveltaan 43, 2581 NJ The Hague – Statenkwartier. Interested? We are a small choir and at the moment we are at full capacity. However, if you want to put your name on the waiting list, please contact us! Yes, we're ready for our first concert with Rik at the helm. We'll be singing at Zorggoep Bosch en Duin in Scheveningen on May 24th. Really looking forward to it. We are going to give our audience a night to remember with great music. 14th February falls on a Monday this year and members of the Basta bar (where we practice) are holding a Valentine's dinner. To say thank you for allowing us to use the venue free of charge, we shall be serenading them with a song or two during their dinner.